What’s new in the cannabis scene? Cannabidiol tea! Before you go rushing to check my medical marijuana card (I don’t have one), you should know that ViPova tea does not use any ingredients from the marijuana plant. Instead, it aims to deliver the healthful benefits, still under research, of cannabidiol (CBD) from hemp plants, Swedish ones in particular, along with the already well-studied healthful benefits of tea. Hemp, a cannabis cousin of marijuana, is used in the industrial production of rope, fabric, et cetera. It has very low concentrations of THC, the psychoactive cannabinoid that marijuana plants are cultivated for, which makes it perfectly legal to sell. It has high concentrations of CBD, and cannabinoids in general are under study for their multiple potential medical benefits with promising results so far. 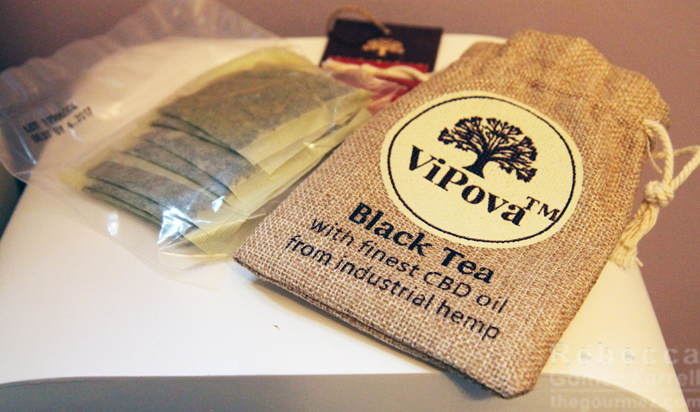 You should know I gleaned most of that information from materials ViPova sent me along with a sample of their CBD-infused Yunnan black tea. Obligatory disclaimer: That means I paid nothing for this tea, and you should really research this topic yourself if you’re interested in ViPova’s potential medical benefits—I am no scientist or medical professional. Rather, I’m in this business to give you my opinions on how things taste, so let’s get to it! This will be an odd review because I am mostly judging ViPova based on the absence of marijuana’s pungent qualities. Once upon a time, in my youth of marijuana smoke penetrating every dorm floor at UCSC, I didn’t mind it. 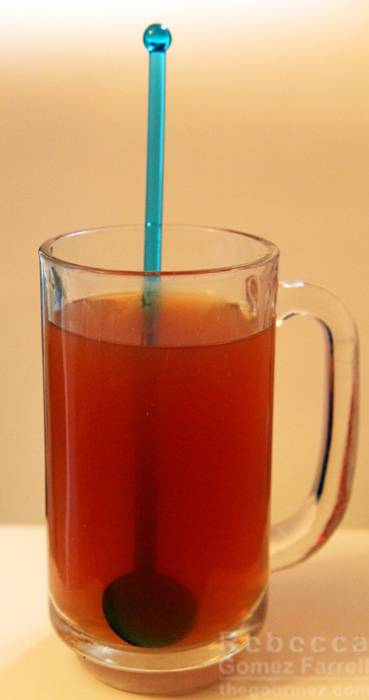 But I find it pretty nasty now, so I admit to a lot of skepticism before trying this tea. Why did I? Curiosity, plain and simple. I’m a foodie—we have that in spades. Each ViPova package comes with eight teabags, and the Yunnan black tea is currently priced at $24.00 on their website. Yes, that’s pricy, but I imagine the process of deriving CBD oil from hemp and successfully infusing it into tea leaves may be expensive. I admit that seeing tea bags was a surprise—I expected a canister of loose leaf tea as that’s what I’d associate with those prices. I tore open a bag and noted the attractive red tone of the leaves but also the yellow granules all over them. They’re probably a combination of the tea’s three ingredients besides organic leaves: the CBD oil, sunflower oil, and nonfat, dry, evaporated milk. 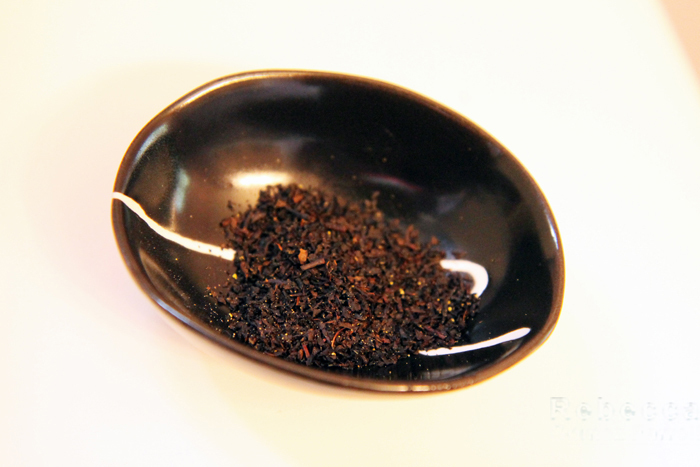 The leaves smelled faintly of…black tea! I was thrilled there was no offensive odor—I really expected to dislike it. Differing from common tea-steeping instructions, ViPova recommends one bag per 12 ounces (the usual is 6 to 8 ounces) and a steeping time of 5 to 15 minutes with water right below boiling. Up to 15 minutes? 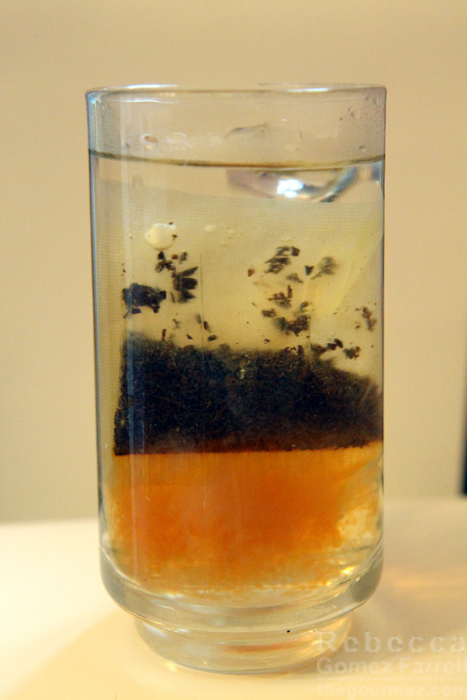 That’s an eon in tea steeping! I opted for the middle road and pulled my tea bag out at 10. The tea was unexpectedly opaque, which is why I have a spoon in there for you to see it for yourself. I imagine that’s the result of the dry milk. I found its amber tone appealing, especially the deeper red core. 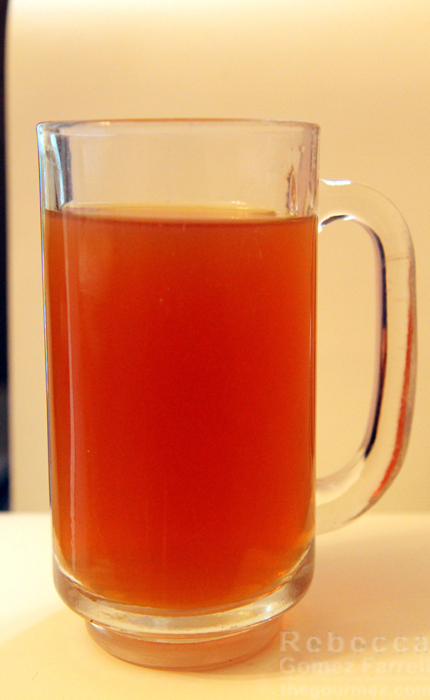 Otherwise, it looked like hot apple cider. I like hot apple cider. 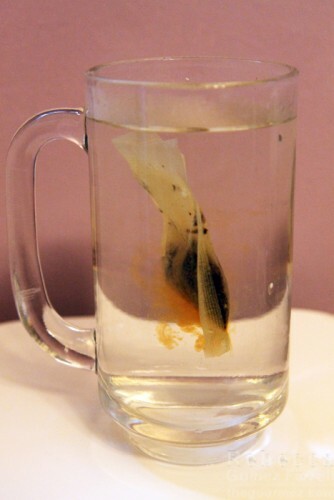 The smell after steeping was mostly hot water, though I’ll throw a little cozy, wet leaf into the mix. It tastes like Lipton black tea served in a restaurant with more freshness to it, and it leaves a velvety coating on the tongue from the oils and milk. Let the tea linger and you’ll get additional flavor…along with the tongue-stripping tannin action of red wine. I drink a lot of red wine, so again, no problem for me. Maybe the full 15-minute steep would make the experience more memorable? Or maybe choosing one of the six new types ViPova released in August would do the trick: earl gray, herbal cherry black tea, low-caf evening green tea, decaf English breakfast, herbal Masala chai, and herbal Bengal chai. All the teas are available from their online store. There are some great CBD teas at https://cbdinfusedtea.com . I like the Pure Passion and Blazen Berry the most but they have several varieties. Thanks for the recommendations, Joe!